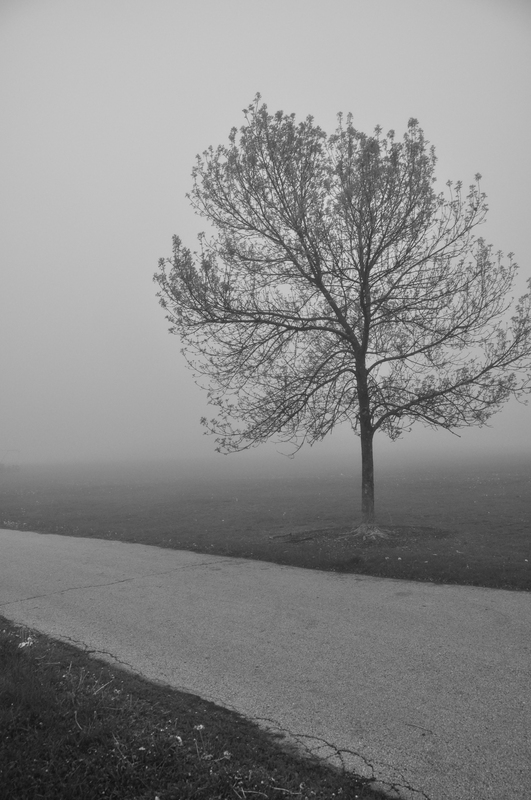 A fog rolls in throughout the park and covers the park, leaving a lonely tree exposed. This entry was posted in Chicago, Nature, Parks, Weather. Bookmark the permalink.